The Central University of Jammu has organized a 2- day book exhibition at its Main Campus Bagla, here today. The exhibition was formally inaugurated today by the Prof. Devanand, Prof. Geeta Sumbli (Jammu University), Prof. B.S. 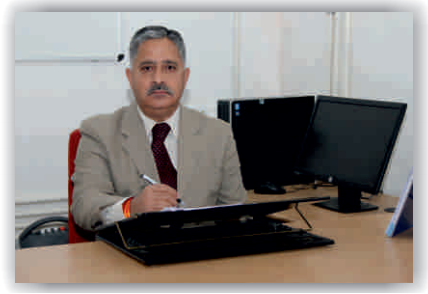 Bhau (Library Incharge), Prof. Deepak Pathania (DSW), Prof. N.K. Tripathi (Proctor), Prerna (Assistant Librarian) and Romesh Chander (Assistant Librarian). from Central University of Jammu. Speaking on the occasion, BS Bhau said that good books are the gateway to knowledge and book fair plays a very significant role in reiterating the might of the pen and the printed words, so such book fair should be the routine affair in the Educational Institutions. About twenty three Booksellers and publishers across the country have displayed their books in the exhibition. The participating publishers and book sellers in the exhibition focused on diverse disciplinary areas such as Environmental Sciences, Language and Literature, Mathematics, Computer Science and Technology, Travel and Tourism Management, Human Resource Management, Educational Studies, Hindi, National Security Studies, Public Policy and Public Administration, Mass Communication and New Media, Sociology and Social Work, Philosophy, Supply Chain Management, Economics. A great response to the exhibition was marked amongst faculty members, research scholars and students of the University. This is fourth book fair organized by CUJ with an objective of promoting reading habits among the students and faculty about the wide range of books.